Thermoform Series Granulators are ideal for inline processing of thermoformed scrap. Built on decades of providing solutions to the thermoforming industry, Cumberland granulators offer a wide range of capabilities for continuous scrap reclamation. Expertly designed infeed systems ensure smooth processing of materials from startup through full-speed operation. Turn to the experts in size reduction to find a granulator ideal for your specific application needs. Double sealed, outboard mounted heavy duty spherical bearings prevent bearing contamination and are lubricated for life. Optimum cutting efficiency is provided with Twinshear ® knife configuration and the 3 Chevron-positioned rotor knives scissor cut against the bed knives to provide optimum cutting efficiency with low power consumption. 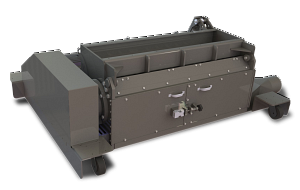 Cumberland U Series Granulators are ideal for inline processing of thermoformed scrap. 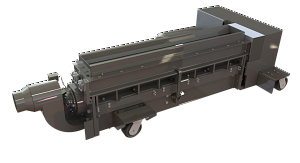 Built on decades of providing solutions to the thermoforming industry, Cumberland granulators offer a wide range of capabilities for continuous scrap reclamation. Expertly designed infeed systems ensure smooth processing of materials from startup through full-speed operation. Turn to the experts in size reduction to find a granulator ideal for your specific application needs. Pneumatic upper hopper opening allows for easy access. 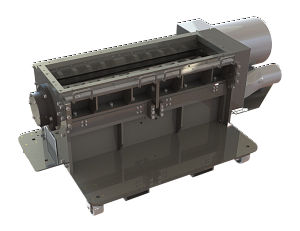 Rotor and bed knives are easily accessed by tilting open the upper chamber. The 3-blade open rotor with Twinshear cutting geometry offers quieter, cooler operation and is ideal for polypropylene. The two pivoting doors offer complete access into the bottom of the cutting chamber (screen cradle and screen). The larger 12″ cutting circle and open screen area allow maximum throughput. Two swing open doors allow easy access to the screen cradles and screen.